I have experienced fashion apathy this past week. I’ve been disinterested in proceedings at New York Fashion Week, which is decidedly uncharacteristic. However, as the week came to a close yesterday, my interest somewhat reappeared as Marc Jacobs closed the week, and the prospect of arriving in London today entered my mind. If there is anywhere to start with reflecting on this New York Fashion Week, it’s with the elephant in the room: politics. The US Presidential Election of November 2016, which saw Donald J Trump unexpectedly claim victory. Thinking in terms of the arts, the fashion industry’s response was awaited. How would designers respond? Would designers respond? Would it be business as usual or would they rustle up a poignant repose in their galvanised state? There were answers promptly: some would, others wouldn’t. Where it did appear it was worthy. Rachel Antonoff’s collection featured an illustration of a women’s legs open, with “Everything Out” on either leg. It was an exclamation of anger and frustration; demanding people to stop interfering with women’s reproductive rights. It was a general political statement, but an undoubtedly necessary one. Dao-Yi Chow and Maxwell Osborne went for the direct approach at Public School (which Vogue’s Maya Singer astutely pointing out the brand name’s political valence, with the cabinet appointment of Betsy DeVos) appropriated the Trump campaign’s ‘Make America Great Again’ slogan and now iconic red hats replacing it with ‘Make America New York’, a call to make the country liberal like the most populous city, which is full of characters from all walks of life, from every country under the sun. Joseph Altuzarra auctioned seats for his fashion show with proceeds going to Planned Parenthood, the nonprofit organisation that provides essential reproductive health services to women in the United States and globally. The Trump campaign and those with similar viewpoints threatened the organisation numerous times during the election cycle. Threats have been posed to its funding, but the outgoing President Obama signed an executive order preventing states from removing crucial funds to the organisation. Altuzarra, a man with the utmost admiration and adoration for women, not only presenting a collection that celebrates them, but fundraising for their causes proves him to be an ally but also as a politically-aware designer in a time when it’s difficult to vocalise political opinions, especially in the divisive digital age. The strength of women has been a recurring theme over the week. Victoria Beckham channeled the masculinity of a Wall Street investment banker into a decidedly feminine collection with Prabal Gurung’s message of women empowerment came through the strength of his clothing, the effect of his body-positive and diverse casting, and the slogan t-shirts he presented in the finale. “Nevertheless, she persisted” and “Revolution has no borders” among them. The friendliness of cut and appreciation of the wearer were noted triumphs, but one couldn’t help but feel the t-shirts were a bit passé. Mary-Kate and Ashley Olsen’s presentation for The Row featured multiple models over thirty, including Kirsten Owen, Alek Wek, Angela Lindvall, Aymeline Valade and Erin O’Connor, took the runway at this season’s show. Becca McCharen-Tran’s Chromat show has honoured women of different body types since its inception in 2011. Her show promoted the positive message of inclusivity, which is of the utmost importance in times like this. Christian Siriano’s deliciously upscale show encompassed both touchstones—there were models of colour, models of different body types. Where plus-sized models are concerned, designers often do them a disservice with silhouettes but Siriano didn’t. He understands different shapes. Telfar Clemons’s unisex Telfar line—eleven years in business—could be viewed as mockery of President Trump’s brainless comment on his female employees being expected to be “dressed like women”. However, the label is so much more than that. It’s indicative of a shift in the world—men and women can wear whatever they like, because clothing is fabric, and isn’t nor shouldn’t be prescribed a gender. The season wasn’t just about designer arrivals, but departures too. 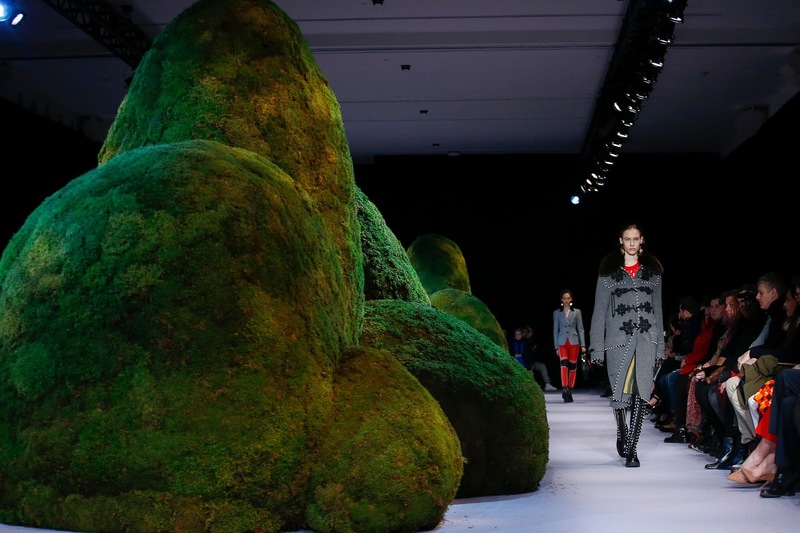 Lacoste, a regular fixture on the NYFW schedule, will opt out next season, moving their show to Paris Fashion Week. 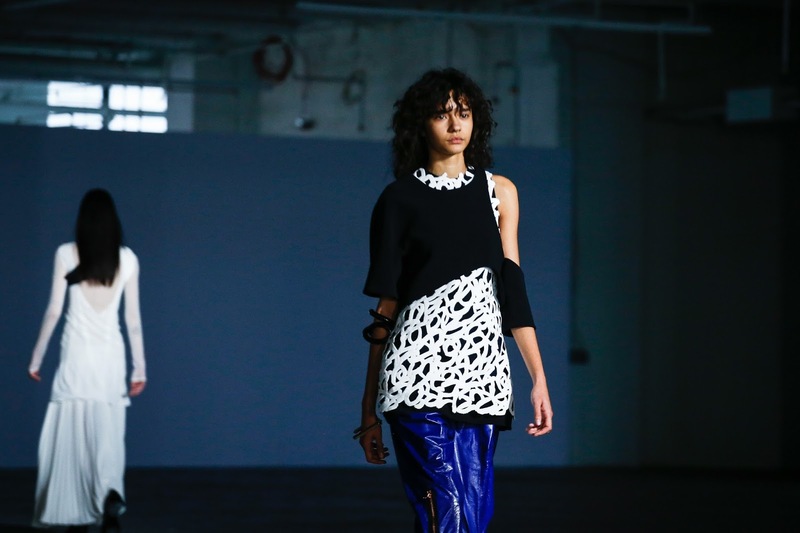 Ditto Proenza Schouler who presented their last collection before their decampment to Paris. They will present their first show, a combined offering of in-season and pre-collection during couture week in July. That announcement came days after Laura and Kate Mulleavy’s Rodarte would be switching to couture, to be presented in Paris every January and July. These decampments have raised questions over the relevance and validity of New York Fashion Week. To me, in the case of Rodarte and Proenza, a gaping hole will be left in the New York schedule. Marc Jacobs who always closes fashion week in New York—and has done for many seasons now—is always the most anticipated show. Watching the live stream, it was fascinating to see the cavernous Park Avenue Armoury furnished with a single row of seats (albeit there were in excess of 600 there in total). At precisely 2pm the models emerged silently, the sound of their thick-soled heels audible throughout the show space. Chatter between the attendees and the sound of their focused, militant walk was the soundtrack. 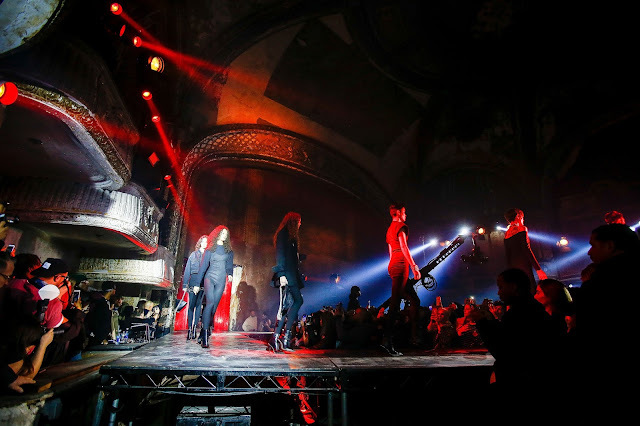 Following their procession the models exited the building and walked the New York streets before posing in front of the photographers’ pit and perching themselves at assigned seating. One by one, the models congregated outside. The clothes were informed by New York’s hip-hop culture. East Coast hip hop emerged in the 1970s and Jacobs painted his collection with a golden glow. The recent success of Netflix’s The Get Down. The clothes undoubtedly echoed Baz Luhrmann’s rich colouration of South Bronx during the disco and R&B movements. Americana has forever permeated Jacobs’ oeuvre and it’s important to celebrate the powerful elements at a politically dubious time. The liveliness of New York streets led to the models sitting outside—the clothes’ natural habitat. There was, however, no polemic against Trump and that was the resounding take away from the week. At this stage, whether that is a good or bad thing remains unclear; and whether it continues to the rest of the month too.